Online Marketing, Web Design, SEO, Social & More! Wowbix Marketing is the leading digital marketing agency in NJ. It proudly helps local and multinational businesses effectively market their products/services online. It was founded in 2015 and till now, it has helped more than 100 businesses boost their ROI. It has also bagged the title of ‘The Best Internet Marketing Agency’ by Upcity due to the quality of its services and delivery of measurable results. If you’re looking for services like Branding, Search Engine Optimization (SEO), Web Design, Social Media Marketing & PPC. Wowbix is your result-oriented and affordable option. 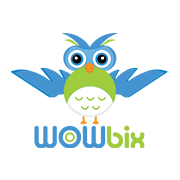 Wowbix Marketing works on the slogan “Sell More” which explains the mindset of its founders towards the growth of their clients’ businesses as well as their own. Visit the website to explore the packages.